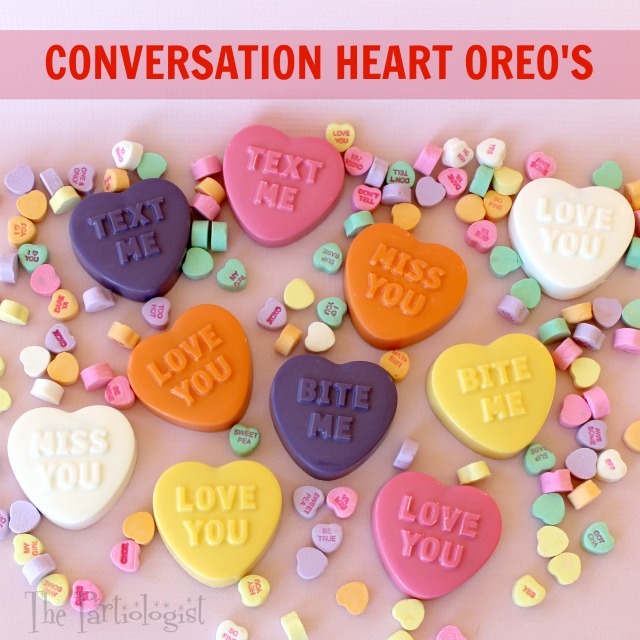 The Partiologist: Conversation Heart OREO'S! Today I'm keeping it simple. 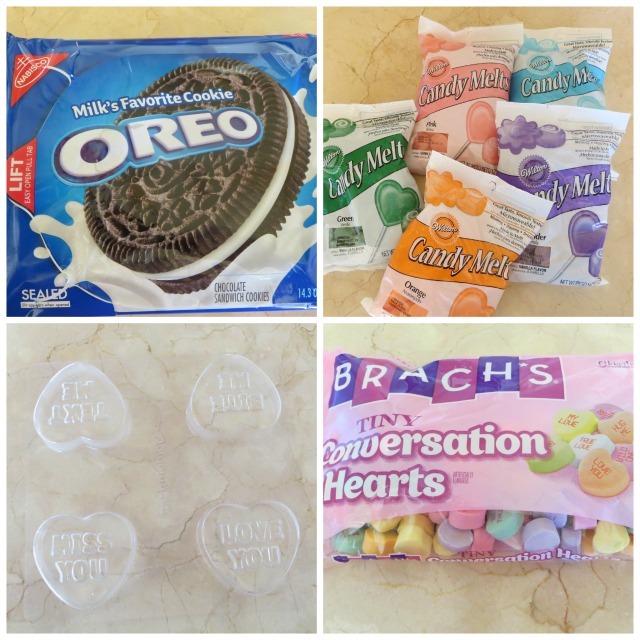 If you can melt chocolate, you can make these Conversation Heart Oreo's. How's that for simple? Under the thick colored chocolate, you'll find an Oreo. I don't know about feeling the love, but you can definitely taste it. 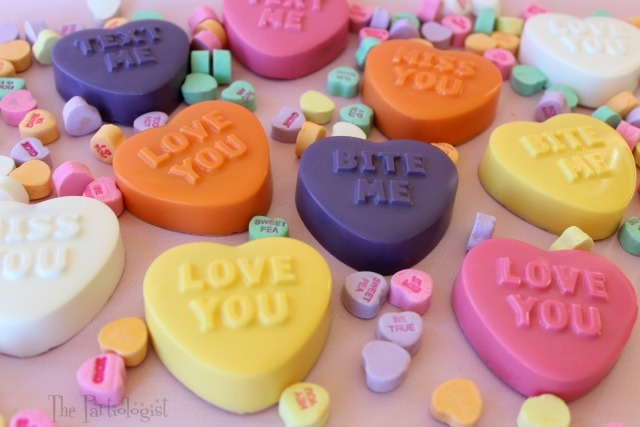 Let me show you just how simple they were to make with the oh so cute conversation heart mold. 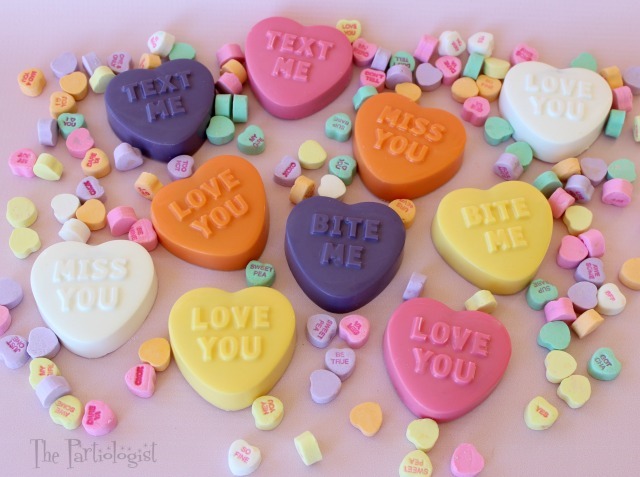 All you need is Oreo's, candy melts, conversation hearts and a mold. Melt any color of candy melts. Pour into the heart mold and with the back of a spoon, spread the candy up the sides. 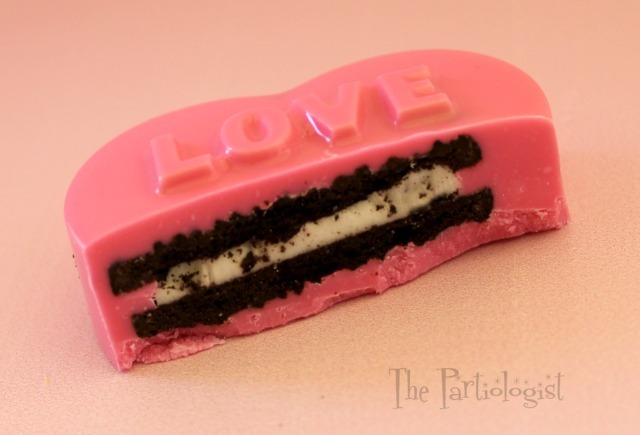 Place an OREO into the center of the mold. 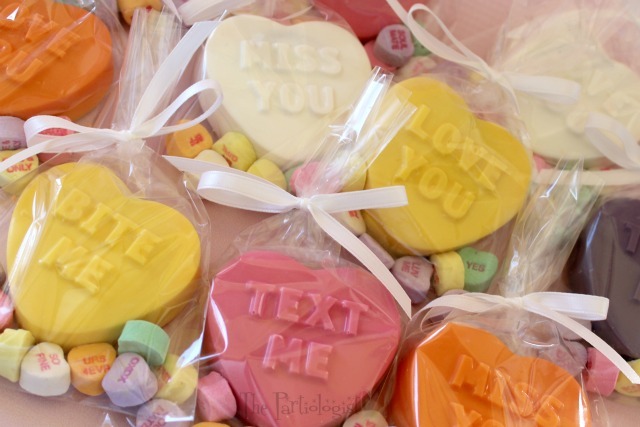 So are you wondering why you need conversation hearts? 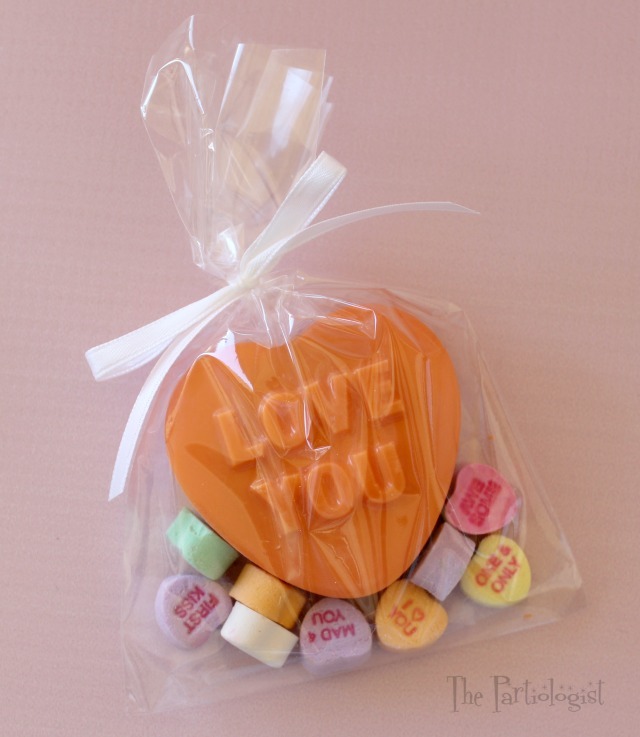 Add a few conversation hearts to the bottom of a bag then add the Chocolate covered Oreo's! It's time to get the conversation started! Thank you, they were sooo simple to make! Right below my post, you will find an Amazon link for the mold. Thanks Lisa! Hmmm, for some reason you can't see the amazon links. Try turning off any ad blocker software. Once I turned it off and refreshed the page, they popped right up. I just got these molds too! They are so nice and sturdy. Your candies turned out great. Thanks Beth! Aren't they the best molds,I just love them. It was really fun and so simple. Thank you Debbie!